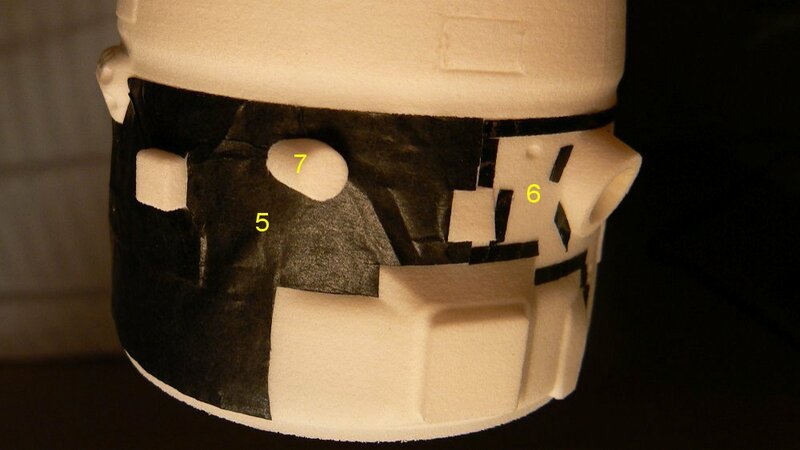 Using the patterns found here, the thermal blankets are applied around the upper part of the instrument module using black tissue paper. The paper can be wrinkled and applied using either double sided adhesive tape or super glue (or both depending whether the paper part is small or big). The picture here shows the location of pattern 5, pattern 6 will be positionned opposite pattern 5.